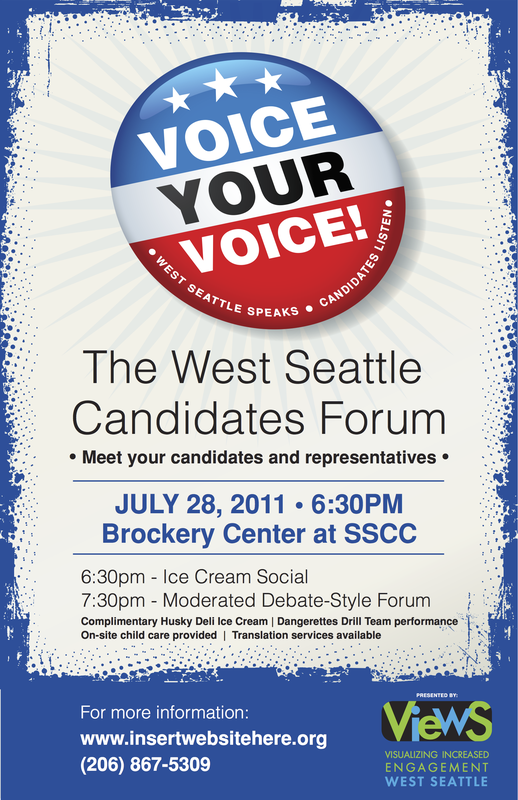 Visualizing Increased Engagement in West Seattle — VieWS — was founded in July 2011 by a small group of neighborhood council and community volunteers who held a West Seattle Candidates Forum at the Brockey Center on the campus of South Seattle Community College. The vision of those founding members was exactly what our group’s name entails — visualizing new ways for all residents of West Seattle, from one neighborhood to another, male and female, young and old, no matter their color, race, or language to come together and learn from each other or learn how to get more involved in building our community up hand in hand with our local governments. Since then, a small band of volunteers has come together to continue the annual Gathering of Neighbors, an event which gathers community and business leaders together from across the peninsula. Next we took on the Delridge Day festival, which brings together the neighborhoods east of 35th Ave for an annual summer celebration that has grown into a skating competition, interactions with our Southwest Precinct police officers, a showcase for local vendors and community groups, food trucks, a music stage with local bands, and a children’s area of fun games and races. In 2015, with the new City Council Districts system being implemented, we have also turned our attention back to candidate forums and elections education, which is how we got our start. Will you join us as we try to build an organization whose mission is to make our community grow and thrive?